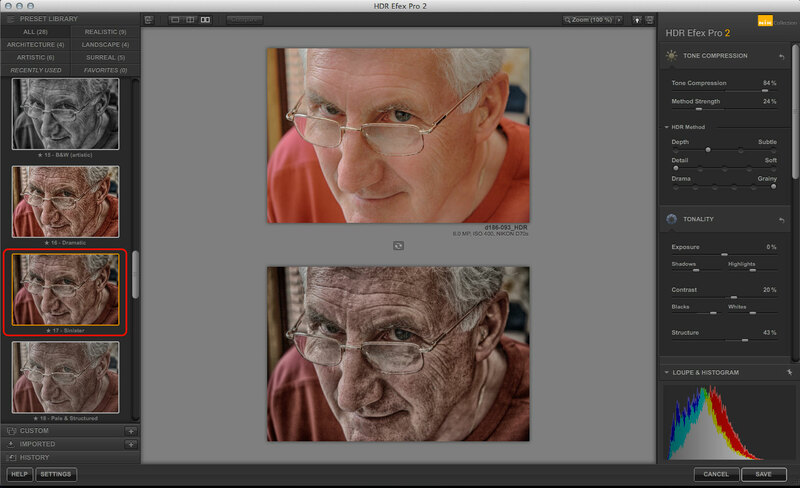 Have you ever tried HDR Efex Pro portraits? HDR techniques are usually associated with surreal landscapes and architectural photography, but you can create HDR Efex Pro portraits for some unique and powerful effects. 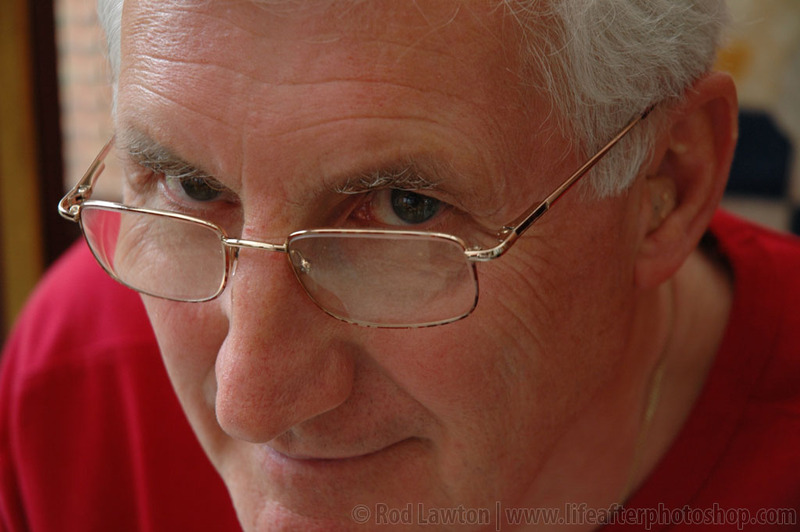 This works best with male subjects because it creates a dark, brooding look where every pore and wrinkle is emphasised. I’m starting with this informal photograph taken in the family conservatory and I’m going to turn it into something quite different with just a handful of steps. It is just a single exposure rather than an exposure sequence, but as long as your image has a full range of tones, you don’t need to merge a whole series of images for a great HDR effect. HDR Efex Pro is just as happy working with single images as it is a whole exposure series. If you can find a preset effect that’s already close to the result you want, you’ll need to do less work with the manual settings. I really like this one. It’s called ‘Sinister’, appropriately enough, and it’s already given my portrait a really powerful look. One of the keys to making this technique work is to lighten your subject’s eyes. I’ve added a control point (1) right on my sitter’s iris, reduced the size so that it just covers the eye area, then I’ve increased the Exposure and pushed the Contrast and Structure right up to maximum. 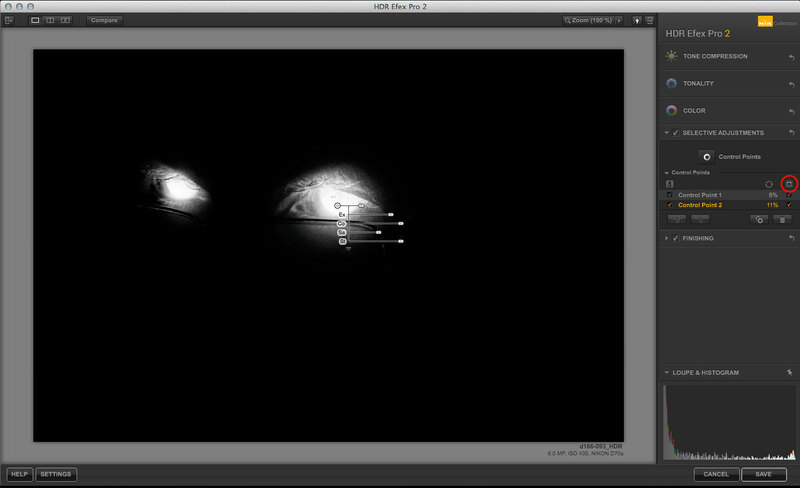 When I got the settings just right, I duplicated the control point and dragged the duplicate over to the other eye (2). 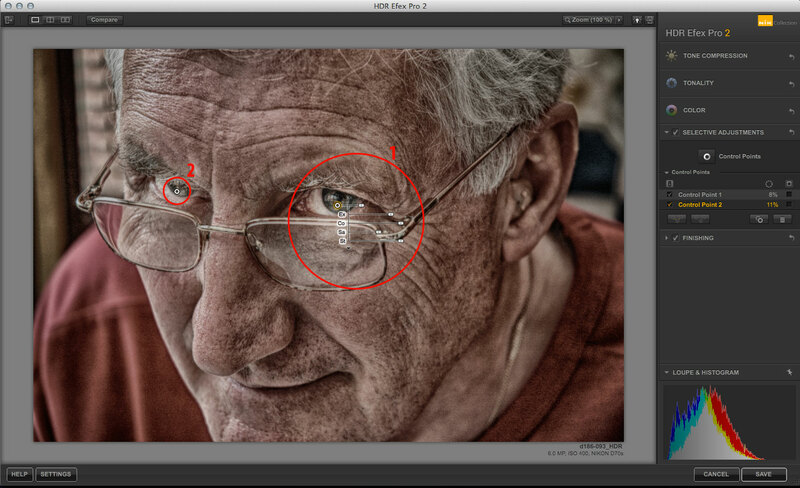 HDR Efex Pro’s control points automatically mask the area you’ve selected, but you can check by ticking the mask display button in the tools panel on the right, in the Control Point section. The areas affected by the adjustment show up white while the rest of the image is black. Have tried or have any thoughts on Corel products. I have used Paint Shop Pro in its many different versions over the years, and in fact I included it in a round-up I did for Digital Camera Magazine a few issues back and gave it a decent rating. If I’m honest, though, I think it’s had its day. It’s a neat all in one program, and it’s really good value, but although it does the same things that Elements does, it does them in its own way. It’s a bit slow and quirky in some respects, and there’s no real route forward if you outgrow it – you can switch to Photoshop, but you’ll have to relearn a lot of the techniques you learned in Paint Shop Pro. The other thing from my point of view is that it’s PC only, whereas I prefer to work on a Mac.